Phong Nha – Ke Bang National Park lies in Quang Binh Province – the central Vietnam. Covering an area of about 200,000 hectares, Phong Nha – Ke Bang situated in Quang Ninh, Bo Trach, Tuyen Hoa and Minh Hoa districts, is 50km northwest of Dong Hoi City. Phong Nha – Ke Bang can be compared to a huge geological museum thanks to its complicated geological structure with different categories of stone including sandstone, quartz, schist, siliceous limestone, granite, granodiorite, diorite, applet, pegmatite, etc. Phong Nha-Ke Bang is the oldest and largest tropical karst formed 400 million years during the main geological periods of the Earth, bearing the original topographic and geologic characteristics. Experiencing major tectonic phases, high mountain ranges and the depressed sedimentary basins were formed. These fluctuations have also contributed to the diversity of geology, topography, geomorphology. Phong Nha – Ke Bang karst mountains can provide a lot of valuable information about the Earth’s prolonged geological process through various periods, from the Paleozoic (about 400 million year ago) to the Carboniferous and Permian (340-240 million years ago). It is also noteworthy to mention a geological characteristic – the system of underground rivers and grottos in limestone mountains. Besides the historical value of geology, topography, geomorphology, Phong Nha – Ke Bang is also favoured with the mysterious and majestic landscapes by nature. The Phong Nha–Ke Bang Natural Park still hides various myths of nature. It also has spectacular karst caves formed for hundreds of millions of years. Next to the Phong Nha Grotto is Tien Son Cave – also known as Dry Grotto or Upper Phong Nha, a famous beautiful cave in Phong Nha – Ke Bang area – where features spectacular stalactites and stalagmites shaped like several fairy-tales. In addition, the Thien Duong Cave remains untouched, with a very splendid beauty, longer and larger than Phong Nha or Tien Son Grottos. Especially, Son Dong Cave is one of the most newly-found caves in the national park that found by a British expedition in April 2009. It is regarded as the largest cave in the world. The biggest chamber of Son Dong is over five kilometers in length, 200 meters high and 150 meters wide. With its characteristics of topography, climate, soil and hydrography, Phong Nha – Ke Bang boasts a rich, diversified and unique flora. 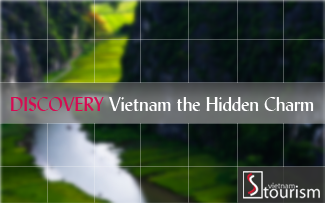 Investigations show that Phong Nha – Ke Bang has a large tropical forest floor. It covers 96.2 percent of the natural area, of which nearly 90 percent is covered by primeval forests. The diversity of rare and precious species of animals and plants in Phong Nha – Ke Bang is corollary of its natural conditions, and is a feature of the forest ecosystem. Statistics show that the flora of Phong Nha – Ke Bang belongs to 152 families, 511 branches, and 876 species, including 38 listed in Vietnam’s Red Book, 25 in IUCN’s Red Book (International Union for Conservation of Nature and Natural Resources) and 13 endemic species. A very important discovery in this national park is three rare and precious species – Sao la, Mang lon and Mang Truong Son – were founded in this area. Especially, Sao la and Mang lon are new species discovered in the world. Of the 81 recorded reptile and amphibian species, 18 are listed in Vietnam’s Red Book and 6 in the IUCN Red List of Threatened Animals. In addition, there are 259 butterfly species, 72 fish species including 4 endemic ones in Quang Binh only and one first found in Vietnam; 302 bird species including 15 species listed in Vietnam’s Red Book and 19 in IUCN Red Book. Particularly, black-comb blue pheasants (ga loi lam mau den), white-tail blue pheasants (ga loi lam duoi trang) and peacocks are the global-level endangered species. Phong Nha – Ke Bang is considered a huge biological museum in Vietnam. With its vivid evidences of the Earth’s formation, geological, topographic and geomorphologic history, mysterious landscapes and the bio-diversity of the national park as well as its unique historical and cultural values, Phong Nha – Ke Bang has been declared a world natural heritage by UNESCO at the 27th meeting in Paris in July 2003.